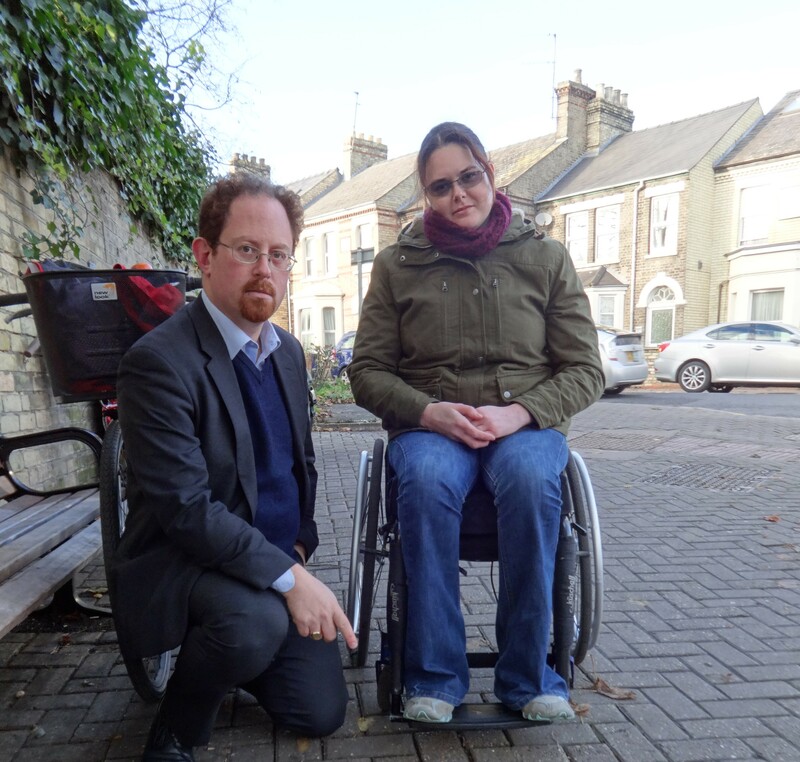 A campaign launched by Paralympic hopeful, Claire Connon and Cambridge MP Julian Huppert urging residents to report broken pavements across the city has drawn numerous examples. People have been visiting the website www.fixourpavements.co.uk to log their complaints saying some pavements are so dangerous they are unusable. Rower Claire, who is tipped for a place in the 2016 Rio Paralympics, took Julian and councillors on a wheelchair tour of the city last year to give them first-hand experience of how difficult it is to navigate cracked and broken pavements in a wheelchair. Claire told them how she had fallen out of her wheelchair twice in 10 days in Cambridge, the second time landing on her wrists which could have ended her rowing career before it had even started. Through the campaign people were invited to log trouble spots on a map and explain the problems many of which were found in the city centre and East Chesterton. Baycliffe Close – impassable in a wheelchair with water hydrant sticking up and overgrown shrubs forcing people to walk in the road. Julian is collecting signatures on a petition calling for more investment in pavements which will be presented to highways authority Cambridgeshire County Council in March. He said: “We have had an excellent response to this campaign. Clearly people are fed up with having to navigate their way through pavements which are cracked, broken and positively dangerous. Cambridgeshire County Councillor, Ed Cearns who represents Cambridge’s Market ward said many residents had contacted him about the state of the city’s pavements. “While we have successfully pushed for some areas to be sorted out, there is still a lot more to be done to make our pavements safe and fit for this great city,” he said. Julian is pictured with Claire Connon working to highlight the state of Cambridge’s pavements. Please add to the list Sidgwick Avenue (north side of the street), including tree roots lifting the pavement.